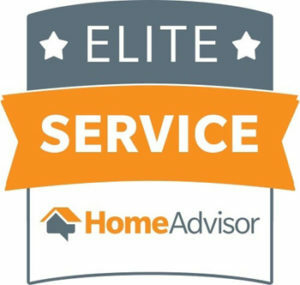 Home Healthy Homes is a screened and approved Home Advisor company. Protect your family from poor indoor air quality with our indoor air purification services. Tired of water seeping into your basement? We specialize in foundation waterproofing to keep your basement dry. Mold can cause severe allergies and health problems. Our certified mold experts will ensure your home is safe. A wet basement is more than just a nuisance. It's dangerous! Learn how basement waterproofing can keep your basement water & mold free. Glen and his team were great, the quote was easy to understand and they fitted the work in very quickly. Glen really cares about your families safety. Home Healthy Homes is top notch for mold removal. I am happy I chose this company and would do it again. They are the best mold remediation service. From the detailed estimate to the final finishes, these guys were professional and courteous. The crew did a fantastic job and treated my property like it was their own. Really impressed. Home Healthy Homes is a basement waterproofing, waterproofing, mold removal and indoor air quality testing and purification family owned business. We are committed to protecting children and families from the hazards of poor indoor air quality resulting from a wet basement, allergenic mold, toxic mold, black mold, free agents and much more. In an effort to heal your home as quickly as possible, in most cases we are able to complete the job the very same day! We are licensed, mold certified, and members in good standing with the National Association of Waterproofing and Structural Repairs Contractors and the Environmental Solutions Association. Our commitment to healing homes and protecting children and families from the health risks of poor indoor air quality is demonstrated by the care we take and in the quality of the work we do. We'll put our forty years combined experience to work for you to help heal your home and keep your family safe. We are dedicated to resolving your leaky basement, leaky foundation, and various mold issues, which may include the harmful black mold or one of the more common mold types. In addition to the Free Estimate for mold removal and basement waterproofing we can provide you with indoor air quality remediation. We take pride and care in the work we do. We are committed to helping you heal your home and protect your family. For basement waterproofing, mold removal, waterproofing or indoor air purification contact Home Healthy Homes right away. We provide you with a FREE in-home evaluation and on-the-spot estimate for mold removal, waterproofing for mold prevention, and indoor air quality remediation. Our long-term solutions are designed to save you money and give you peace of mind. Make an appointment for your FREE estimate. Most jobs are completed the same day! Protect Your Family with the Experience and Care of Home Healthy Homes. We are your local Waterproofing, Mold and Indoor Air Quality Expert.